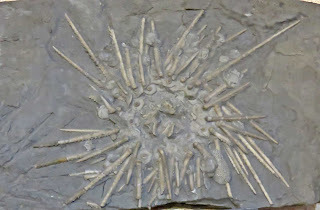 This image is of an Archaeocidaris sp sea urchin fossil on display at Mace Brown Museum of Natural History (August 2017). It dates to the Late Carboniferous Period (about 290 million years ago). 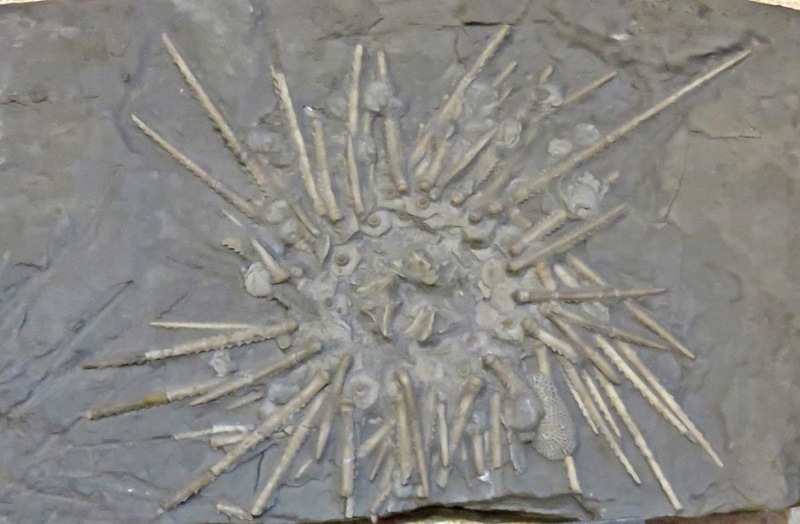 The fossil was found in Brown County Texas USA.